Is there a compiled executable to test Superpowered time stretching? Does the time stretcher work in real-time too? How many channels are supported for time-stretch? The time stretcher is good for live, or only for offline processing? After I increase the rate of the whole song, increasing by 50% (1.5), there is an attenuation of about 6 db. This seems to be the same at a new rate of 1.75. This doesn't seem to occur when slowing the song down. Any ideas what's going on? I noticed that the time stretcher cannot stretch beyond 4x, as in if I pass in a parameter of 4.5, it will just get truncated to 4. I assume there is also a lower limit of 1/4. Is it possible to remove such limit, or extend it to 6 and 1/6? How do you synchronize the start of a player to a division bar 0, 1/8 , 1/4, 1/2 of another looper? What is masterMsElapsedSinceLastBeatfor? I developed a beatmatching training application. For this I will need to be able to detect if two tracks are beatmatched or not. Can this be achieved using closestBeatMs() ? Is processmulti function intended to read multichannel sound files which format are supported? it is possible to read multichannel audio in Superpowered can I find an example of the use of this function? Would it be possible to leverage more than 4 channels in a single file as per the STEM format? Am I correct in thinking that SuperpoweredDecoder doesn't work with files straight from /assets or /res/raw? Do the files need to be copied somewhere else so that an absolute path can be provided? Can I reuse a SuperpoweredAdvancedAudioPlayer or not? I want to pick the audio from SD card for pitch shifting. How can I do that? I would like to run the Android Cross Example with files from the SD Card. How can I modify the code to work? Not sure if this is an issue in Supercharged or in iOS, so forgive me if it's an iOS thing, but have you ever encountered an issue where the file path is reported as null? Can I somehow load audio into a buffer, then use that one buffer as a source for multiple audio players? Can it preload audio files into memory (like SoundPool does) so it can play them without that huge Android's latency ? Do you have a silence removal function during the playback? Do you have a support for Spotify? Do you mean with "classic instantiation" that I should keep 8 separate member variables of SuperpoweredAdvancedAudioPlayer in the class? Do you support the playback of DRM protected content? Can I get a trial for HLS? Can we use encrypted content with Superpowered? Do you guys provide implementation of the hls server on android or the player or both? I pointed to my mp3 file but HLS is not working. I would like to use Superpowered for streaming and applying effects on HLS aes-128 encrypted tracks. Does Superpowered support that? Is any literature available that explains the capabilities and use-cases for Superpowered HLS? I can't find a setting to stop a file on eof. All the audio egs so far I've tried repeat endlessly. How can I solve this? I play around with cross example for iOS and I'm looking for some solution how to prevent auto repeat. Does Superpowered have a build-in function for it? Is there any way to pause the player as soon as audio file is loaded with SuperpoweredAdvancedAudioPlayer using open() ? SuperpoweredAdvanceAudioPlayer starts playing, and after completion of playing, it again starts from beginning. Like a loop. Any solution? I have a question about how to sample-accurately "forward-schedule" playback of audio from any point in the audio file and I'm presuming that your advanced audio player is our friend? I want to reuse sound clip I already loaded into memory. Is there a method to reuse sound from memory? Would it be OK to load the full track into the 8 players and set cue points along the tracks ? 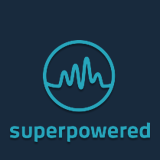 Would superpowered allow me to seek anywhere within an audio file without loading it into memory and with no delay?